Do you have a big kitchen renovation project coming up? In Montreal, on the North Shore and on the South Shore, there’s only one name to remember: Construction Précellence! In this blog article, we’ll present the advantages of entrusting the design and execution of the work to our team of experts. Refurbishment work that is 100% compliant: with us, there is no need to worry about whether the work being done meets the standards of the Régie du Bâtiment du Québec or those of your municipality. We are committed to meeting our clients’ expectations while complying with industry standards. A constant concern for the respect of the environment: within our company, the choice of materials and appliances (appliances, light fixtures, etc.) is considered from the outset when planning the renovation. In addition, we ensure that we manage our construction waste responsibly. 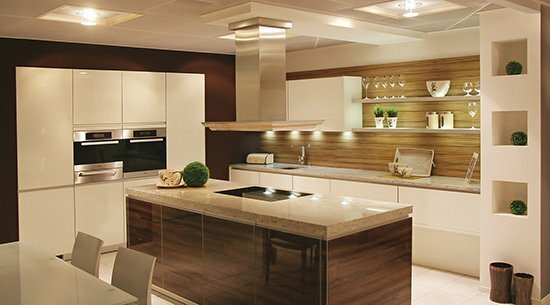 Solutions that maximize the use of space: by entrusting the design of your kitchen to our designers, you are assured of obtaining a functional room where the dimensions and the distances between the architectural elements and the appliances in all genres are rigorously calculated. Respecting the constraints of timetables and financial resources: at Construction Précellence, we are fully aware that “time is money”. Want to hire a construction company that takes into account your budget and schedules? You are in the right place. Our goal? To carry out work of the best possible quality in the shortest time – at fair and honest prices. As you can see, at Construction Précellence, we are happy to work closely with our customers in Montreal and the surrounding area to offer superior cuisine. To find out more about our various services (house extensions, terraces, etc.) or to plan a first meeting with our qualified team, please contact us!